After a century of inconclusive evidence in the examination of orthopedic techniques, the question of whether or not we can modify cranio-facial growth by functional orthopedic techniques still remains to be resolved. Functional appliances and technique evolved during the 20 th century from the early night time appliances to increased day time wear, and finally to full time wear with the Twin Block. Scientific evidence is now available from improved techniques to investigate growth modification in functional therapy, and the potential of functional forces to modify bone growth. 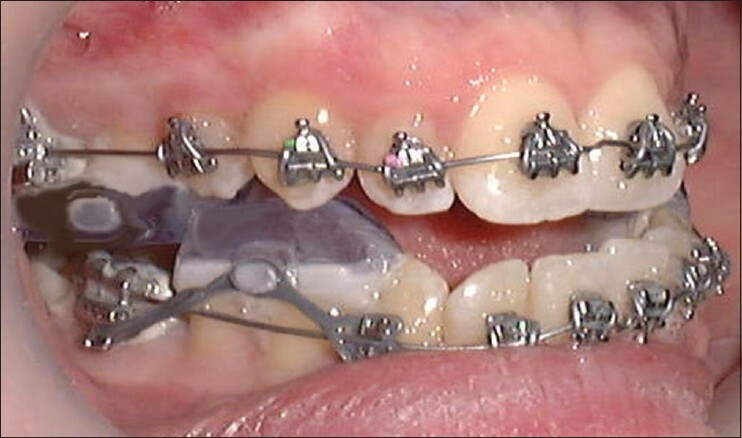 A new paradigm for successful treatment presents a philosophical challenge to combine the benefits of orthodontic and orthopedic techniques and to extend our horizons in the treatment of malocclusion that requires dental and skeletal correction. The Fixed Twin Block is the next logical step in the evolution of functional orthopedic technique. A protocol has been developed to integrate with fixed appliances at any stage of treatment using preformed blocks that bond directly to the teeth. The occlusal blocks eliminate buccal and lingual appliance attachments and provide efficient treatment for Class II malocclusion. The Fixed Twin Block is available in single patient kit form [Figure 1]. 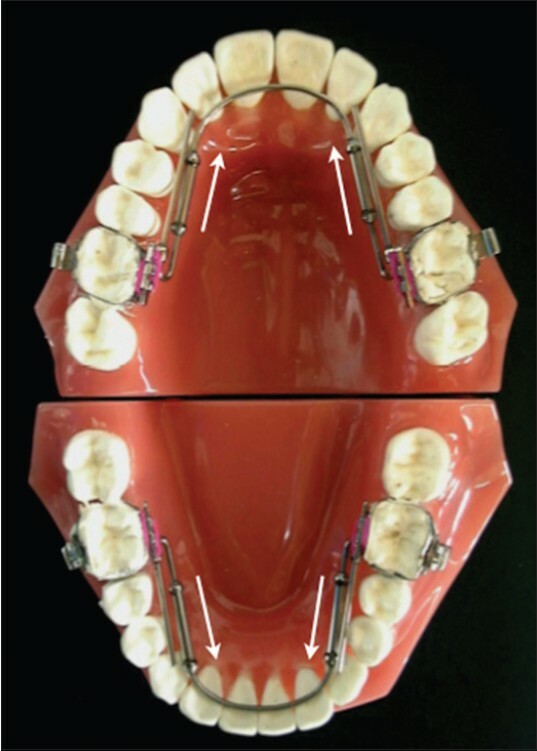 [Figure 1] - Fixed Twin Blocks can be fitted at any stage of fixed appliance therapy TransForce Lingual Appliances Arch development is an important aspect of functional therapy in a holistic approach to benefit patients by improving tongue position and behavior. 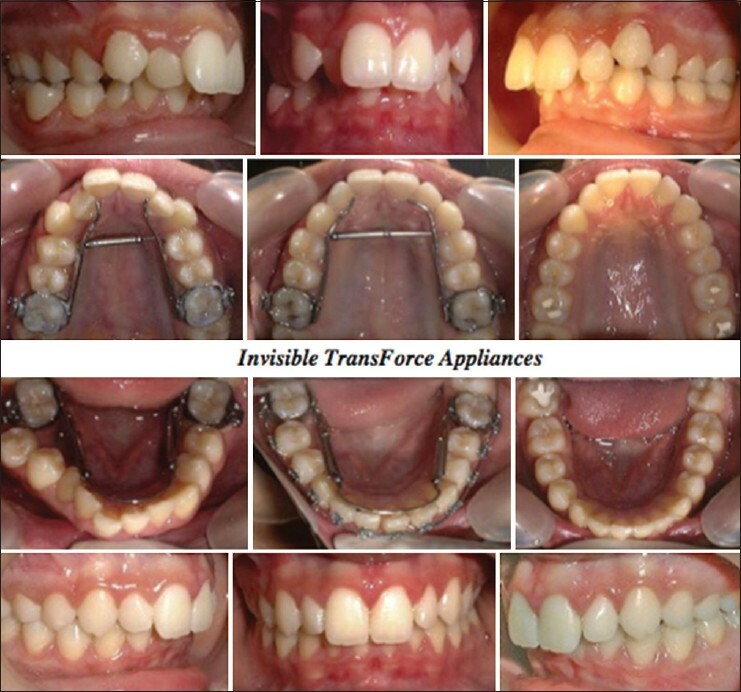 TransForce Lingual Appliances were designed by the author to correct arch form for patients with contracted dental arches as a new series of preadjusted fixed/removable appliances. ,, Interceptive treatment with pre-activated lingual appliances offers new possibilities for arch development in combination with fixed appliances. Arch width and arch length may be controlled by gentle spring-driven activation, combining ease of control, and a long range of action. 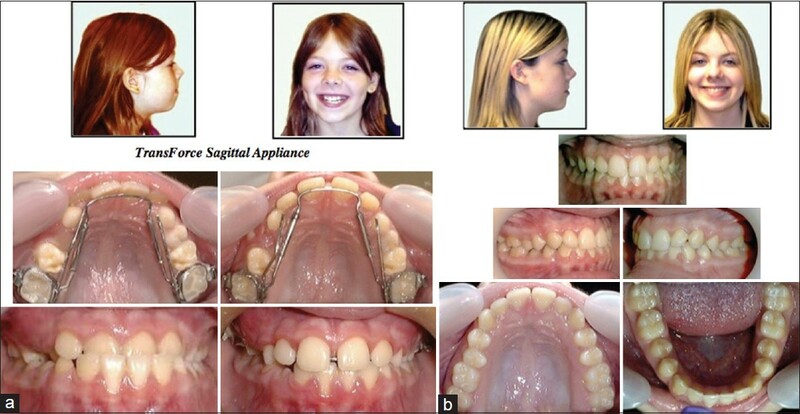 Palatal and lingual appliances insert in horizontal lingual sheaths in molar bands. The appliances are pre-activated by a new expansion module incorporating a nickel titanium coil spring enclosed in a tube to deliver a smooth continuous force. The force is calibrated within a range of 100 to 200 grams according to the requirements of arch development for sagittal or transverse activation. No activation is required after the appliance is fitted, and this principle is extended to a series of appliances for sagittal and transverse arch development. TransForce appliances; have the advantage that they do not occupy the palate allowing the tongue to adapt into the palate during treatment. Functional therapy to advance the mandible and improve arch form can improve tongue position and behavior, with the holistic benefit of improving the airway [Figure 2]a,b, [Figure 3], [Figure 4],[Figure 5]a,[Figure 5]b. 1. Clark WJ.Twin block functional therapy. Applications in dentofacialorthopaedics. London: Mosby Wolfe;1995. 2. Clark WJ. Transforcelingual appliances for archdevelopment. JClinOrthod 2005;39:137-42. 3. Clark WJ. Arch development with trans-force lingualappliances. World JOrthod 2005;6:9-16.